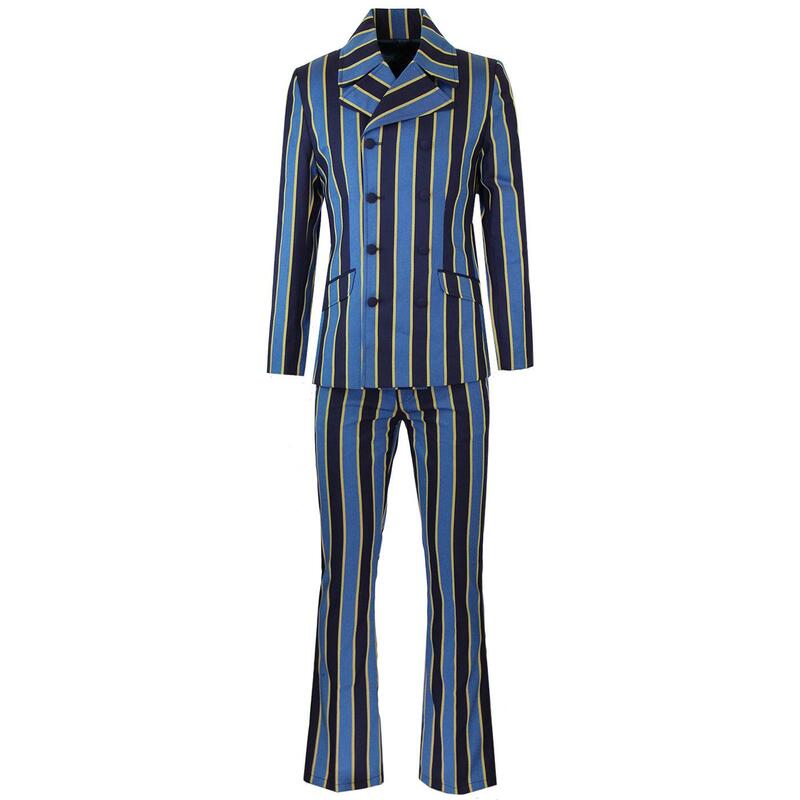 Madcap England 'Backbeat' men's 1960s mod double breasted boating stripe blazer in blue and yellow. 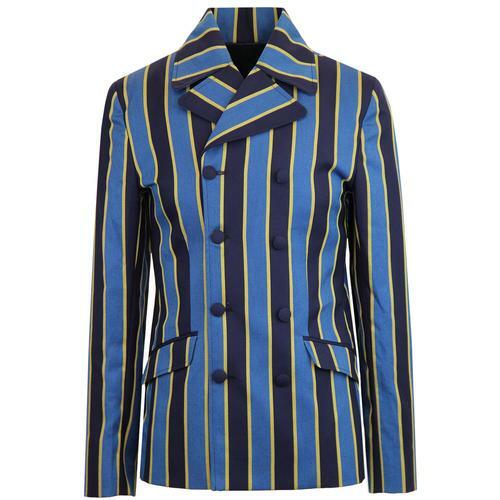 Inspired by 1960s mod and psychedelic fashions, this Tailored by Madcap England double breasted regatta stripe blazer features an oversize retro curved lapel, big collar and expertly shaped body. Flap pockets to the sides and covered buttons to the fastening and non-working cuffs add the finishing touch. The fab retro navy and electric blue textured stripes are flanked by striking contrast yellow tram lines and a subtle diagonal weave stripe runs throughout, further enhancing the vintage look of the jacket. Taking influences from 1960s boutique style from the likes of Mr Fish, Granny Takes A Trip and Dandie Fashions. A true dandy mod masterpiece - The 'Backbeat' double breasted retro stripe blazer jacket in blue/yellow from Madcap England. Madcap England 'Backbeat' men's 1960s mod double breasted boating blazer. Textured navy and electric blue retro stripe details. Yellow fine stripes flanks the blue wider stripes. Subtle diagonal weave stripe throughout. Mod covered buttons to double breasted fastening and non-working cuffs. Oversize retro lapel with curved edges. SKU: MC448 Backbeat Stripe D/B Boating Blazer. 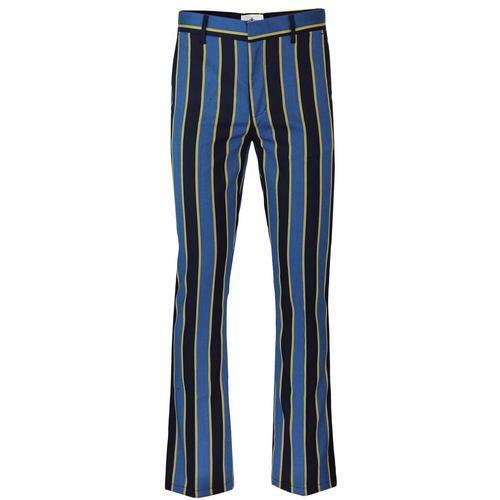 Madcap England 'Backbeat' men's retro 1960s stripe bootcut flare trousers in blue and yellow. These flared dandy mod stripe trousers are sure to cach the eye with bold retro blue and navy stripes flanked by flashes of yellow. The 'Backbeat' bootcut trousers also feature a diagonal textured stripe that run throughout. Madcap England 'Backbeat' flares conjure up images of late 1960s psychedelic style. Benefitting from jetted back pockets, slant side pockets and clasic belt loops to the waistband. Clasp and button fastening, zip fly. Team these Madcap England 'Backbeat' stripe trousers with either the matching 'Backbeat' Double Breasted or 'Offbeat' Single Breasted blazer for an ensmble that Hendrix himself would be proud of! 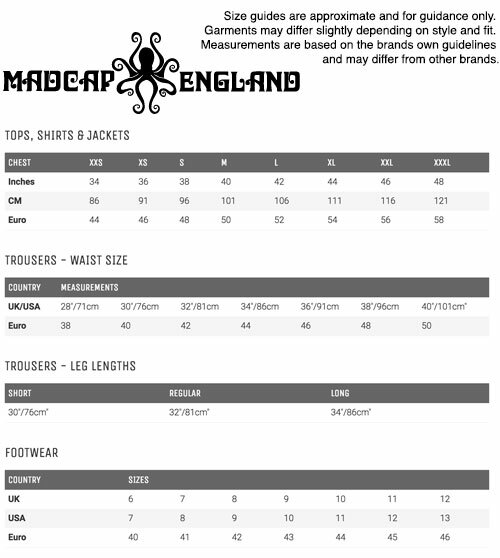 Madcap England 'Backbeat' men's retro stripe bootcut flare trousers. Approximate 19 inch bootcut hems. SKU: MC450 Backbeat Stripe Bootcut Trousers.